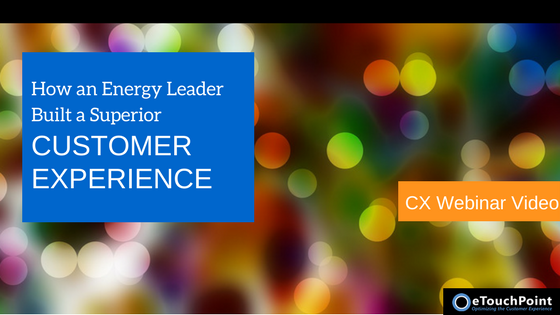 One forward-thinking energy leader realized it needed to revamp its customer experience (CX) program They took strategic steps to accelerate their customer messaging and feedback gathering programs–and achieved quick CX wins. Watch our webinar replay to find out about this CX transformation–and learn practices you can apply to your CX program in 2018. While a solid CX foundation yields benefits, CX innovators are always evolving their programs. The start of a new year is a good time to pinpoint where you are and chart next steps for your CX program. Read our blog post for details on CX maturity models from 3 top analyst firms–Gartner, Forrester, and the Temkin Group–and take your CX program to new heights in 2018. Blockchain technology is being heralded as the most significant advancement since the emergence of the Internet. It has the capacity to shift how we live, govern, and conduct business. View Fifth Quadrant’s recent write-up on the 4 ways Blockchain will transform CX. Customer Experience promises to be a make-or-break proposition in the year ahead. With organizations battling to stay in the game, fresh trends that will shape CX in 2018 are emerging. Learn the 7 trends that will define CX in 2018 in a revealing article from Customer Think.